To the ironic cynic, every year is a crisis. Twenty: no longer a teen, the responsibilities of adulthood settling in. Twenty five: the ‘mid-twenties’ juncture, when the prospect of a Dyson vacuum excites more than the colour of glowstick to take to the next rave. 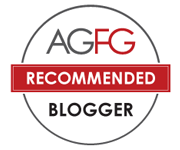 Twenty eight: mortgage or avocados? 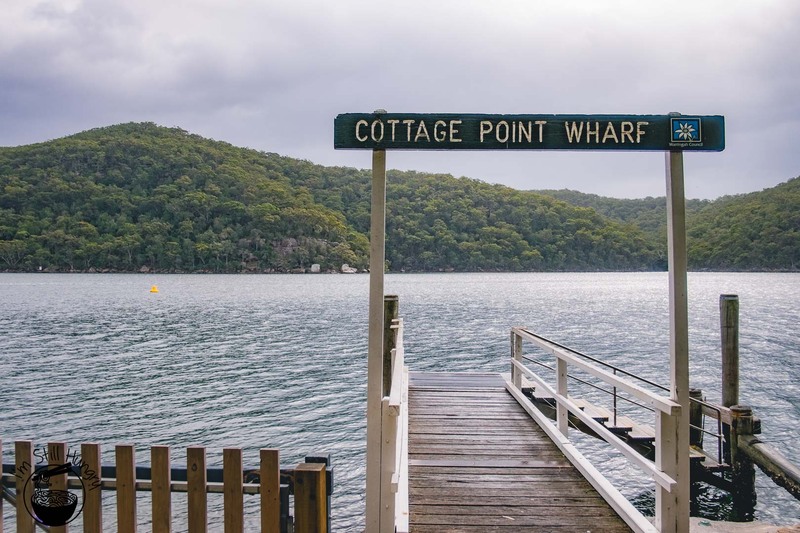 A solid thirty kilometres from Sydney proper, Cottage Point Inn is the sort of place you visit to forget life’s problems – drown them in champagne, no less – while taking in the waterfront view with nothing but good food and even better company. And with that, I officially join the ranks of the ‘late-20s’. I’m going to need a drink. It’s not a stretch to say that I’ve overused the concept of ‘institution’. Everything is an institution: this sushi restaurant, a class representative of the cuisine. This fine dining restaurant, the standard by which all others are judged. This cafe, for it pushed the boundaries for what is possible in a shoe box kitchen. Nearly 70 years of history ought to do it. With humble beginnings as a general store that served locals, tourism interest in the area – i.e. Ku-rin-gai Chase National Park’s idyllic vistas- transformed it into a proper restaurant in the 1970s. 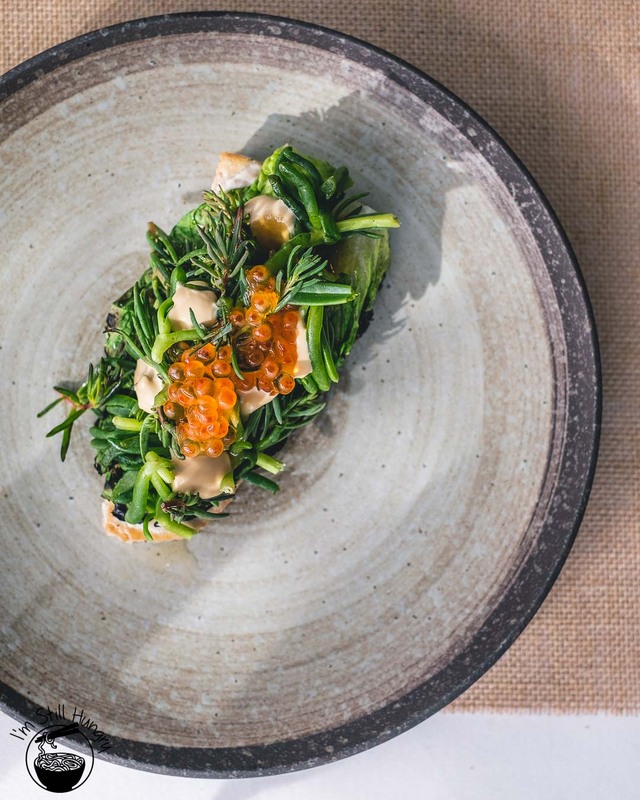 Originally catering to the casual crowd, the decades have flown by with Cottage Point Inn taking its restaurant offering increasingly upmarket. 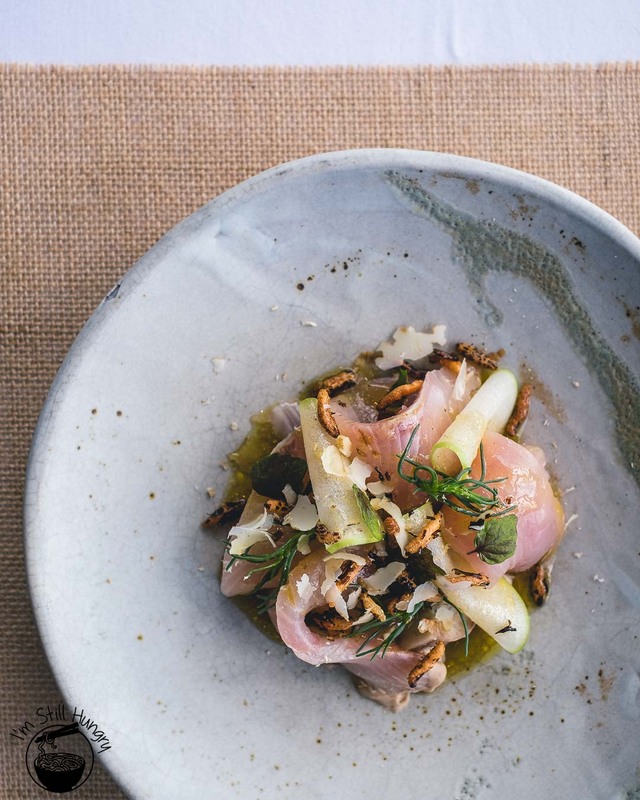 And now, headed by chef de cuisine Kevin Solomon – of Bathers Pavillion, Tetsuyas, Est. 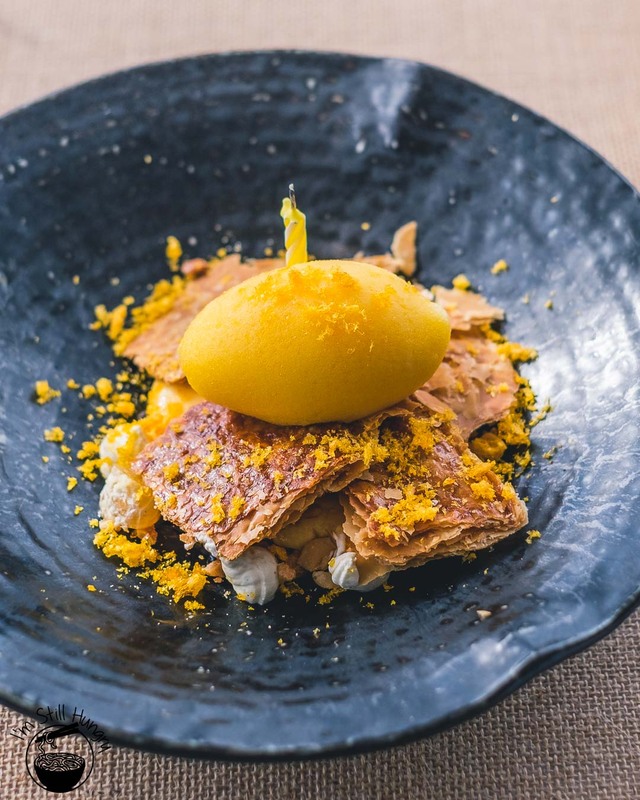 and Guillaume – the restaurant is likely better than its ever been. Culinary pedigree – check. Getaway location without the getaway time commitment – check. Ability to arrive via seaplane – check (yes, for real). This was worth a birthday meal. 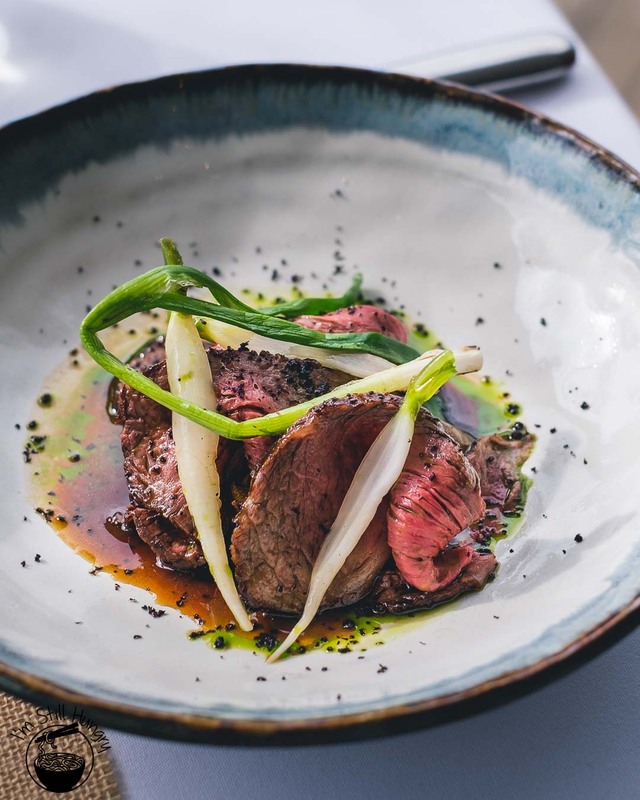 There are two ways to dig your forks into Kevin’s cooking: via a 3 or 4-course a la carte option ($105 / $125 respectively), or a 7-course degustation that runs for a cool $150. 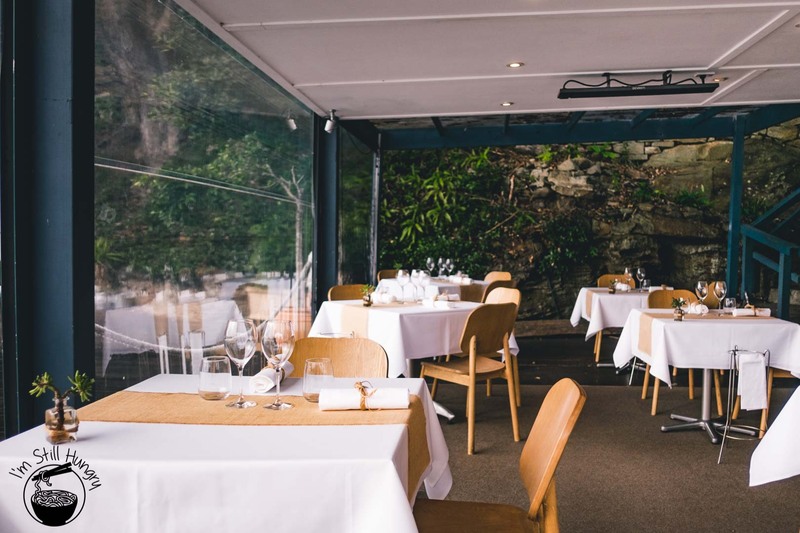 While not exactly Maccas money – and yes I did consider a 10-pack of nuggs for my birthday – it’s hatted, waterfront dining that represents great value for both the soft (service – which had no faults) and hard product. But more on the latter later. 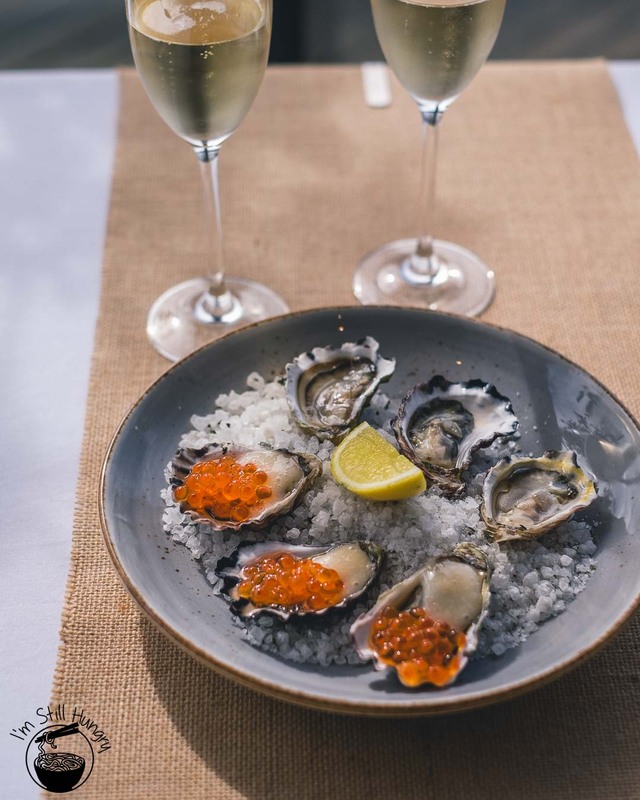 While my usual modus operandi is to go straight to the tasting menu, my dining partner and I opted to share the spoils of the a la carte menu which yields a ‘8-course degustation’ for both diners with a $50 discount ;). 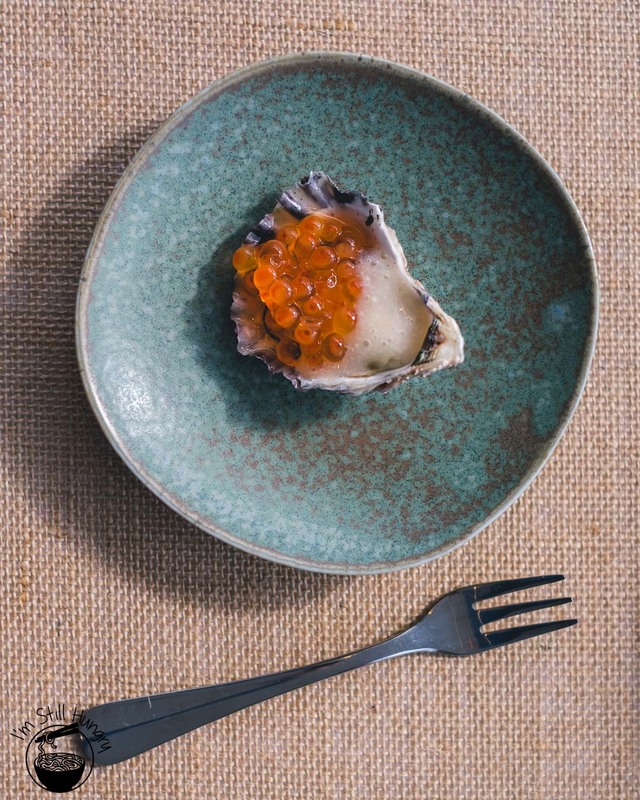 Oysters, at a reasonable-ish $4.5 au naturale or a less reasonable $6.5 with horseradish cream & salmon roe were expensive ways to tick the bivalve itch (this conjures a weird image of me tickling an oyster, but I digress). 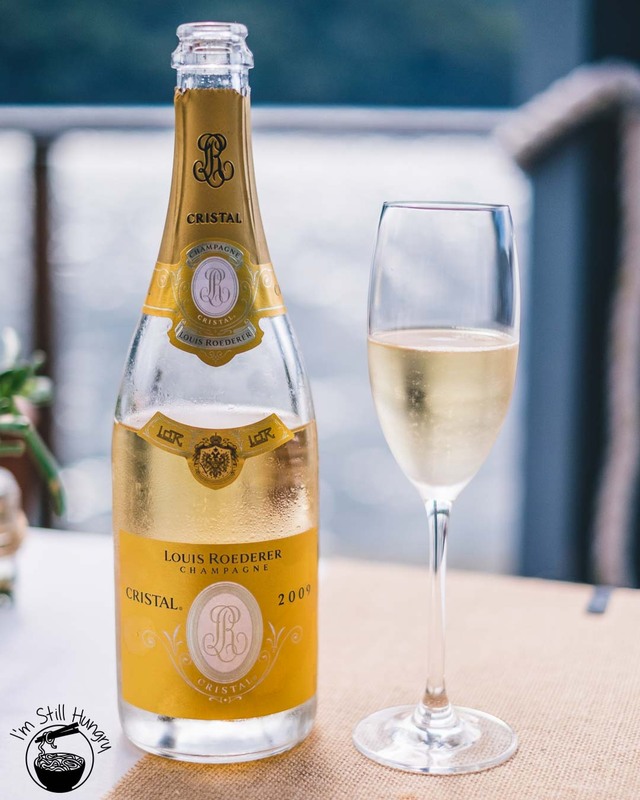 Granted, they were from Pambula, an area which is up there amongst the best our shores offers: sweet, creamy, and of course that ocean classique feel. Get them neat – the horseradish cream was somewhat oppressive and roe bling didn’t really justify the 50% markup. 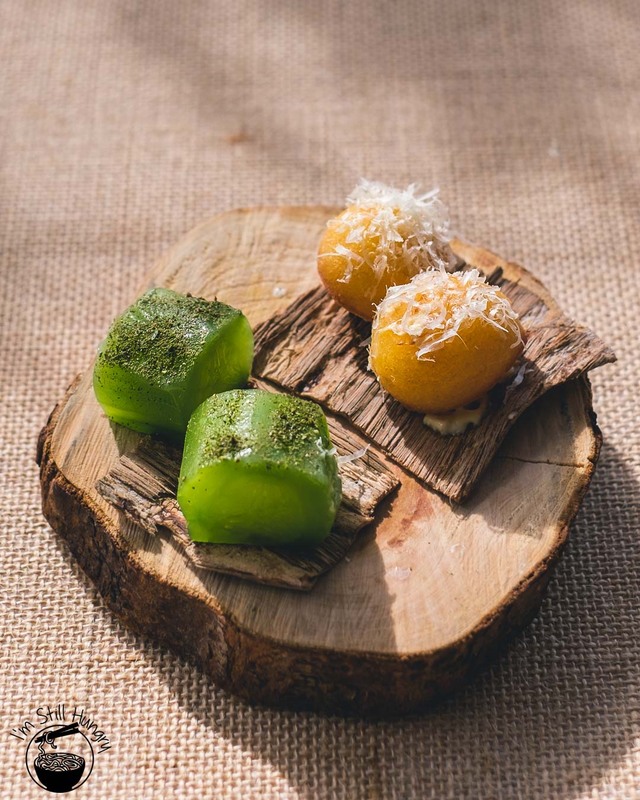 Cucumber, celery’s dead-boring partner-in-crime for extreme dieters all over the world, is made slightly less boring with a baptism of seawater and yuzu, with a powdering of lemon gum on top. 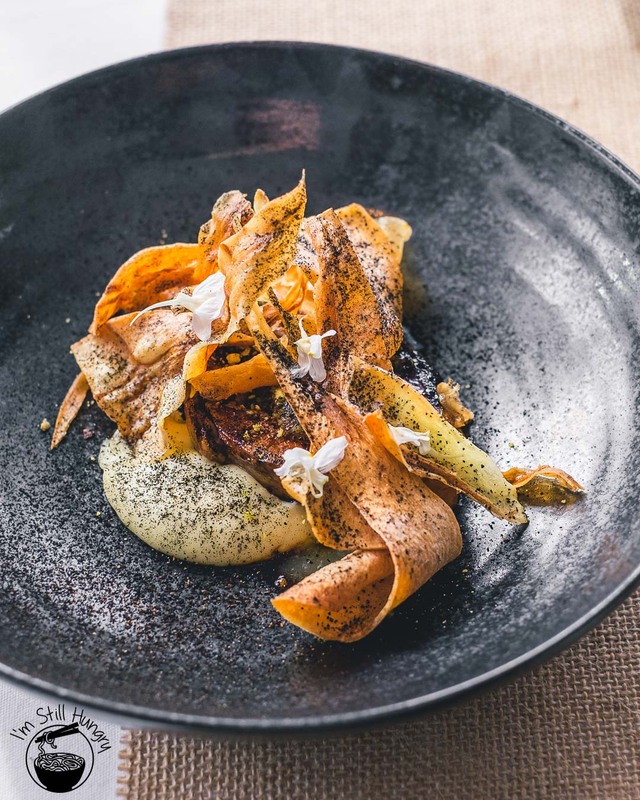 Shaved gum leaf doesn’t sound particularly appealing, but it stole the show – you thought eucalyptus smelt strong? Wait till you eat. It’s certainly one way to do Modern Australian. The other nibble, one I suspect is the crowd favourite, were the Dutch potato beignets. The test with these fluffy, cheesy bites is deceptively simple: do I want another one? And of course, it’s a pass. Perhaps even with a distinction. 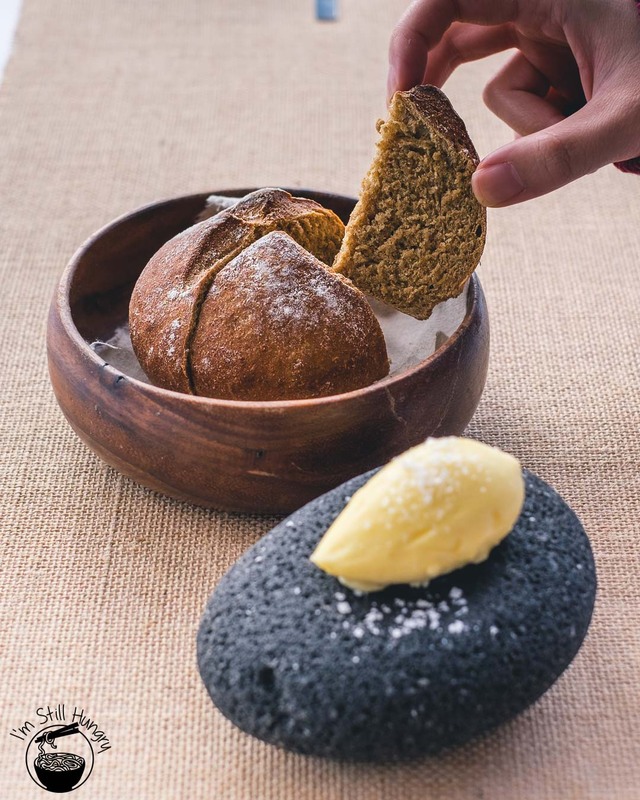 House rye, served warm, with cultured butter perched on a stone was pure joy. It is no disparagement to the rest of the meal that this ‘course’ was one of the highlights. It’s the sort of bread of which you’ll want seconds, even thirds. I wasn’t kidding about breading up twice – it goes well with the unctuous egg yolk & wasabi cream of the earthy kangaroo tartare starter. 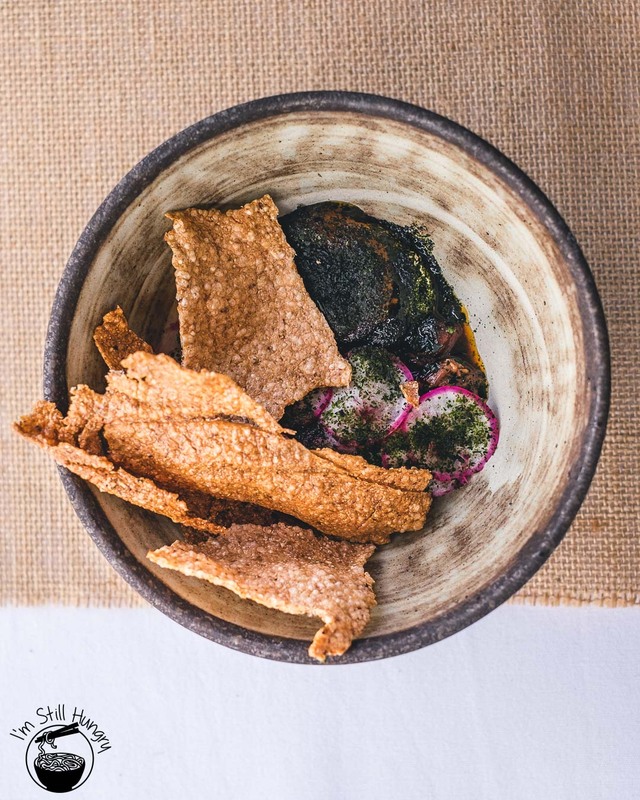 In fact, the dish was salty enough to require it – the crunchy buckwheat crisps, themselves lightly-salted, won’t save you. Still, I can’t think of many better ways to get one’s dose of protein and iron. Kangaroo remains an underrated meat. 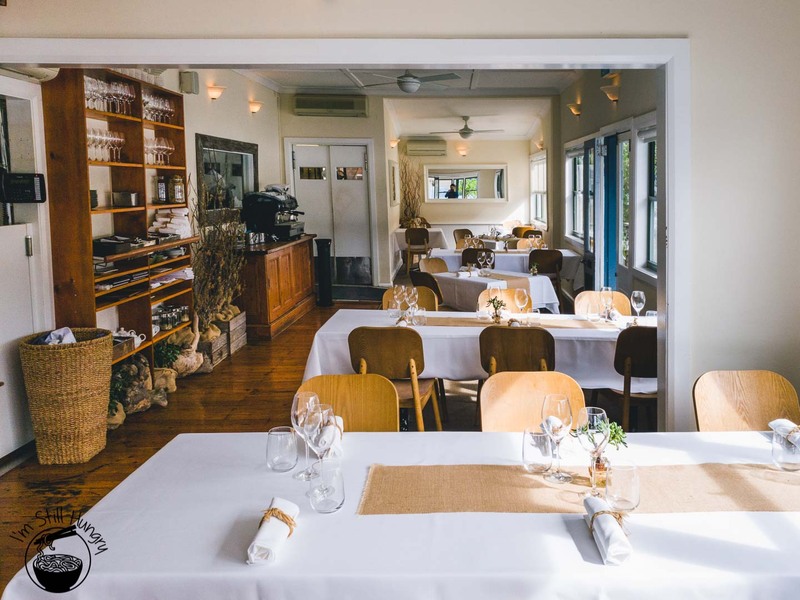 Notwithstanding its particularly cozy relationship with salt, Cottage Point Inn does a uniquely Australian ingredient proud. 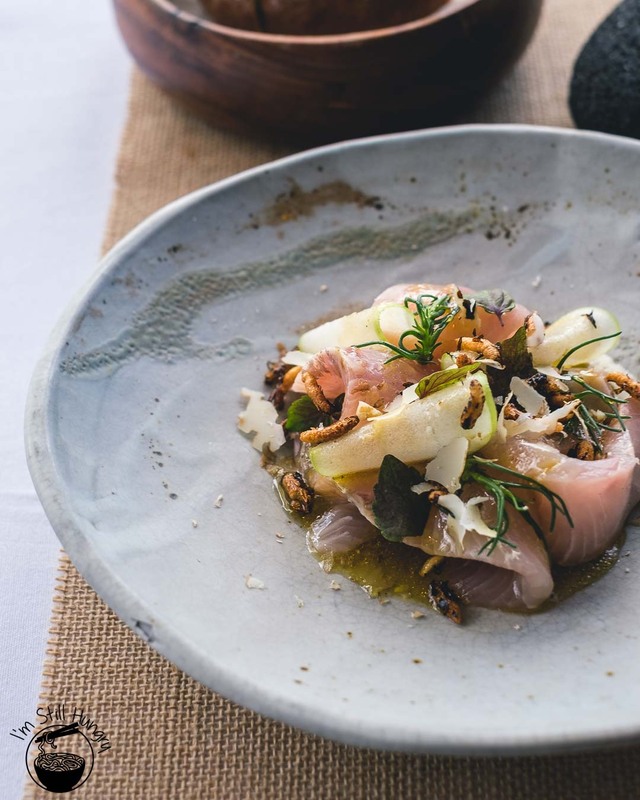 Kingfish, fresh and bright such that it may as well have come from the river that very day, was gussied up with umami-packed smoked eel mousse, herbal shiso & zesty apple, grounded in a walnut oil. 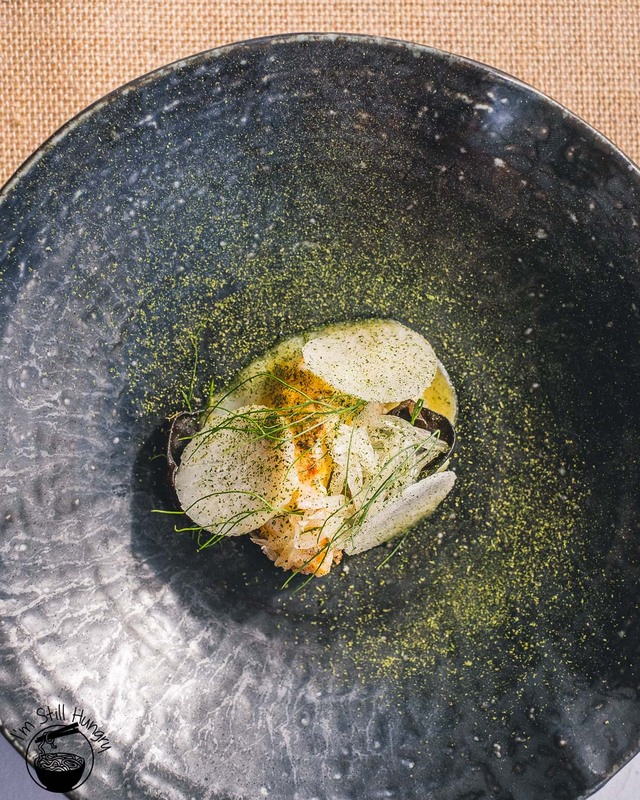 An expertly crafted dish forcing it into the pantheon of great seafood entree experiences, the addition of puffed rice only improved on what was a fabulous plate of food. Order this. It’s a must. Speaking of must-orders, the roasted bug ain’t one. I know part of Cottage Point Inn’s appeal is the view, but I didn’t expect to taste it quite literally: I wasn’t able to notably discern anything other than salt. Something must have happened: a hand slipped; a teaspoon was mixed up with a tablespoon; a line cook’s been throwing back a bit too much bubbly. Other than that, all I can tell you is that the texture of the bug was fantastic – this is a perfectly cooked bug. Except of course, it wasn’t. Pork jowl, with meyer lemon (fun fact: this is a hybrid native to China. Why is it here? We’ll never know) and parsnip crisps elicited the quintessential ‘this is it’. Melty pork that never gets too rich, a delicate balance of salty and earthy (phew! 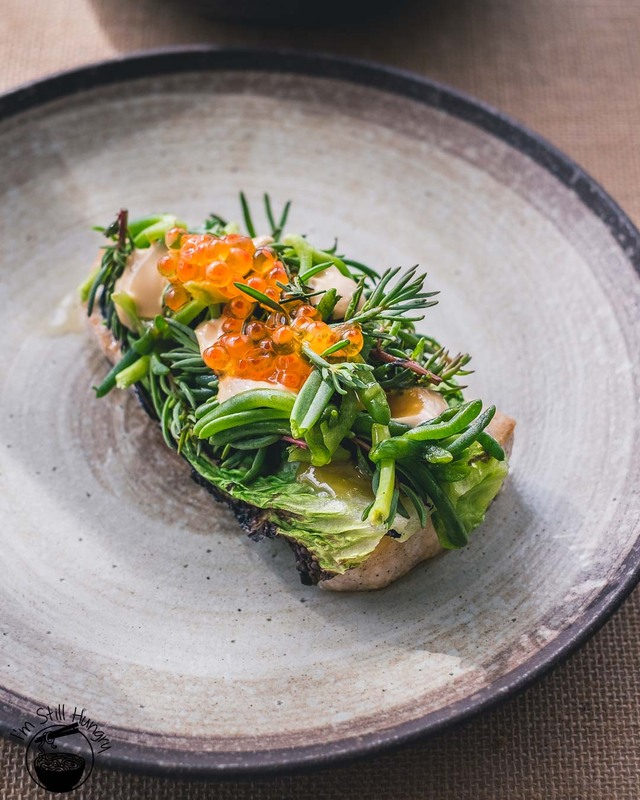 ), this was a punchy dish with presentation – and flavour – that would be right at home in Dan Hunter’s Brae. That’s a compliment to Cottage Point Inn. The wagyu beef wasn’t quite as good as the pork, but that’s okay: it’s Tajima. It’s hard to screw up the closest thing to purebred wagyu in Australia, especially when it’s taking a swim in a lavish onion caramel. Again, perhaps a bit salty, but as it’s a sauce, levels were controllable. Swordfish, beautifully presented, was disappointingly overcooked. Just slightly; however, difficult to excuse given Cottage Point Inn’s pedigree and price point. 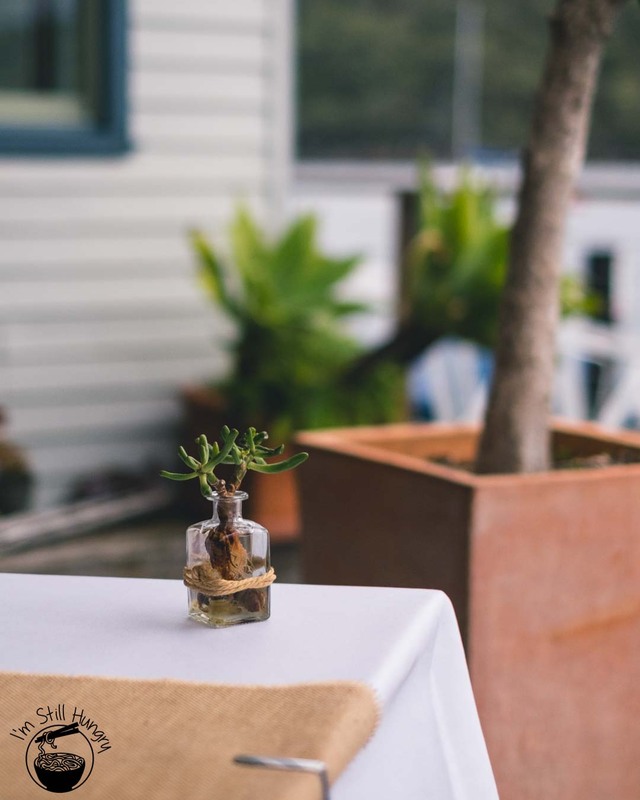 Miso caramel and beautiful garnishes of crunchy seaside succulents go a long way to make up for it, but it’s difficult to justify any reorder value. Supporting characters cannot – by definition – fully bridge the gap. 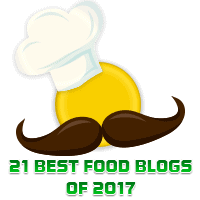 At this point, it can be easy to conclude that the buggy bug and overdone swordfish cut through my initial expectations for the meal, but as the entrees proved, there is plenty of good where it exists. It just so happens that when it comes to mains, the point was enforced – ironically – by land-side animals. Threatening to steal the show from all the dishes was pumpkin. With perfectly-roasted wedges lusciously doused in a konbu butter with more of the stuff sprinkled on top, it’s frighteningly good at pushing all the right buttons. For what it is, scary good. 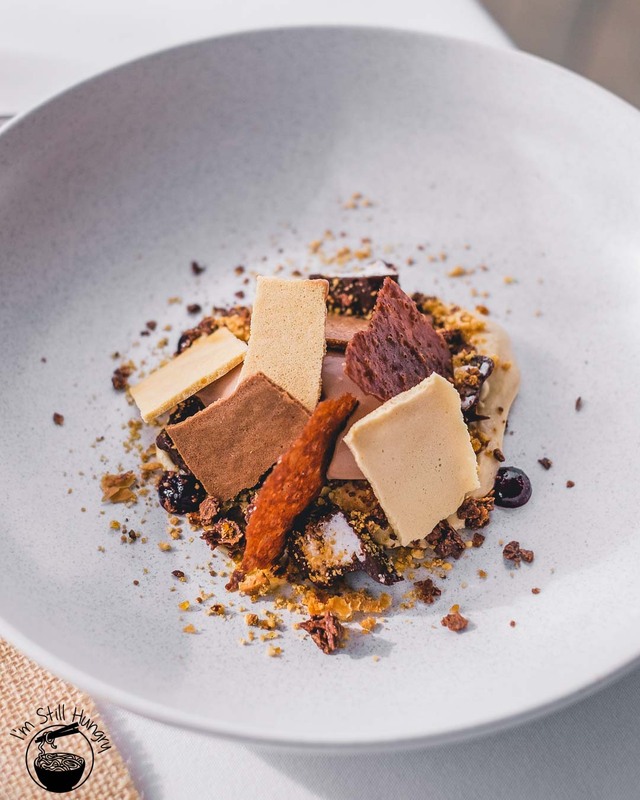 Desserts were classic affairs of excellent pastry work, whether that’s in the zesty mandarin sorbet w/creme caramel, or the indulgent Valhrona chocolate ice cream, beautifully-quenelled and livened up with blackcurrant and hazelnut praline. Either will be a fine way to end. 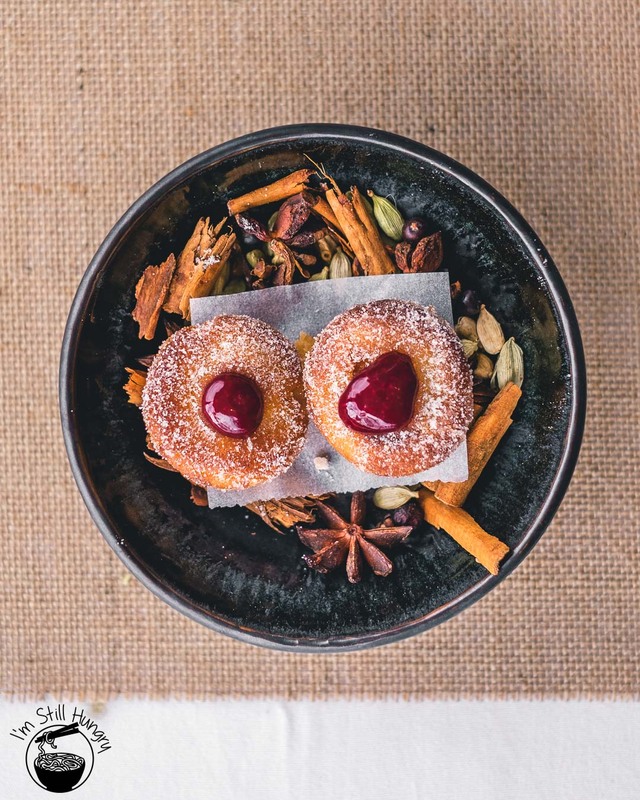 Well, other than the little treat of apple financiers w/cherry jam to truly end things. So the conclusion. Well, it’s a bit awkward. A little bit mixed. Definitely overseasoned. 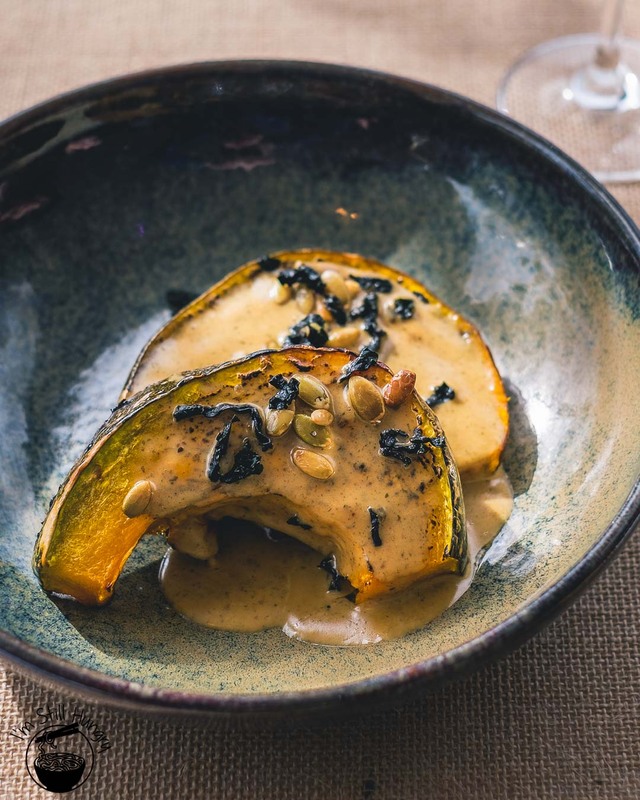 Flavours are there, dishes are well-presented, but many sidesteps prevent a wholehearted recommendation to be made. The view and atmosphere are excellent, but not irreproducible. 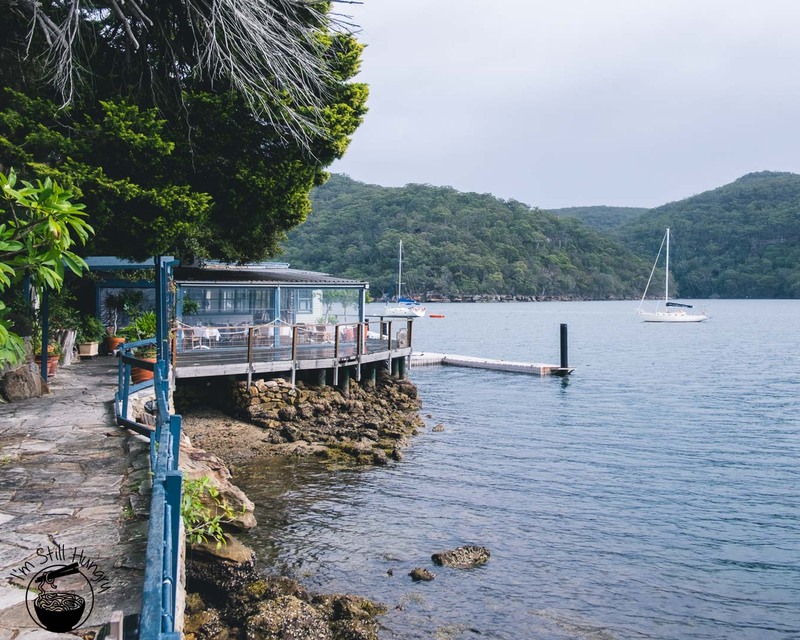 For similar money and a similar drive time, you could visit Berowra Waters Inn – which comes with a ferry ride thrown in for free, and holds back on the salt. I know which restaurant I would return to next. That said, Cottage Point Inn is certainly worth a first-time visit, and for me, perhaps even a second. After all, seasoning is easier to fix relative to technique, and there’s plenty of that. It is the joy and risk of visiting new restaurants, an inescapable part of the life I lead. Here’s to another year of improvements: both here at Cottage Point Inn, and to me personally. We’re adults now, we can’t mess around any more. But I can always have more champagne.